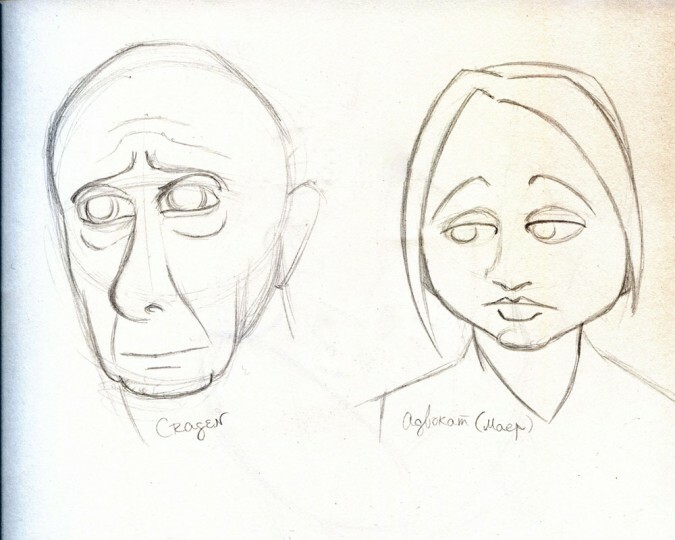 I’ve been trying to teach myself how to draw caricatures, which for the most part means repeated pausing during various TV shows to try to draw out the characters. Currently at the clunky phase where the caricatures are not quite recognisable as who they’re supposed to be. This will have the side effect of the blog not being updated as often or with as many finished illustrations. The actual portfolio has its own RSS feed, which will be more readily available once i’m no longer flooding it with old work, and the emailed part of the blog was only ever posts from the News category anyway, so this shouldn’t really affect anyone except new visitors who like clicking ‘blog’ links. (Hello!) …And maybe forcing me to write Actual Bloggy Things more than once a year.